Sleeveless Dresses - Easy to accessorize, this casual black dress can be paired with heels, sandals or flip flops. 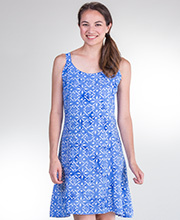 This A-line style dress by Pretty Woman can be dressed up or down. Care Instructions: Hand or machine wash in cold water,; lay flat to dry; do not iron; do not bleach.